Sanford Sternlicht G’62, professor emeritus of English, is the author of “August Wilson’s Twentieth-Century Cycle Plays: A Reader’s Companion” (Texas Tech University Press, 2015). Described as a “short literary guide” to the iconic playwright, the book is written with teachers, theater professionals and audiences in mind. 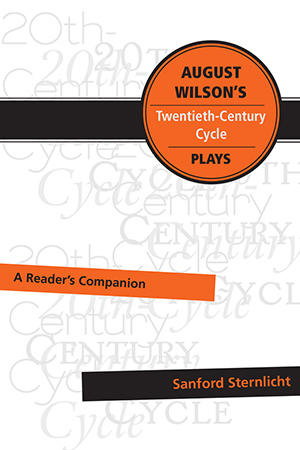 Central to Sternlicht’s book is Wilson’s “Century Cycle,” a series of 10 plays that takes place during the 20th century. All of the plays are set in Pittsburgh’s historic Hill District, except for “Ma Rainey’s Black Bottom,” which takes place in Chicago. That each play corresponds to a different decade (e.g., “The Piano Lesson,” the 1930s; “Seven Guitars,” 1940s; “Fences,” 1950s; and so on) creates a kind of alternative history, as seen through the eyes of disenfranchised African Americans. Born in poverty in the Hill District, Wilson began writing around the same time he dropped out of high school. Originally, he concentrated on poetry, but when he moved to St. Paul to work at the Science Museum of Minnesota, transforming Native American folk tales into children’s plays, drama became his chief outlet. From 1980 to 2005, Wilson wrote 15 plays, of which “Fences” (1985) and “The Piano Lesson” (1987) won Pulitzer Prizes. Some of his other plays, such as “Ma Rainey’s Black Bottom” (1984), “Joe Turner’s Come and Gone” (1986), and “Seven Guitars” (1995), have won Tony, Drama Desk, and/or New York Drama Critic’s Circle awards. Wilson relocated to Seattle, where he died in 2005 at the age of 60. Sternlicht will read from and discuss his book on Wednesday, March 25, at 12:45 p.m. in the Leonard and Ruth Sainsbury Library of the Tolley Humanities Building. The event is free and open to the public and is part of the HC Library series, sponsored by the Syracuse University Humanities Center. For more information, call 315-443-7192. 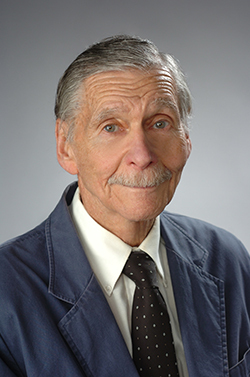 Sternlicht joined the Syracuse faculty in 1981, after teaching at SUNY Oswego for 30 years. He has written or edited some two books on literary and dramatic criticism and has published multiple books of original poetry. Since 2009, Sternlicht has served as a Speaker in the Humanities for the New York Council for the Humanities—a position that has allowed him to travel the state, discussing his research. A former Navy Reserve commander, he also has served as a Fulbright senior specialist and a visiting professor of English at the University of Pécs in Hungary.